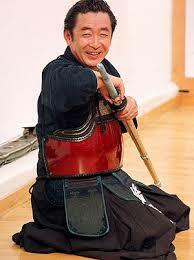 Does kendo encourage successful lives? From my limited experience, kendo in Japan is a fairly egalitarian pursuit, attracting tradesmen, company workers, their wives and children and of course the professionals from the police and university factions. It also attracts some of the leaders of Japanese society. Whether this is due to kendo’s samurai heritage or because Japan’s senior universities all have thriving kendo clubs is beyond me. It might be because many government departments and leading businesses, METI and Mitsubishi for example, have their own dojo that encourages the continued practice of kendo amongst Japan’s movers and shakers, but it could be argued that this is a function of effect rather than cause. 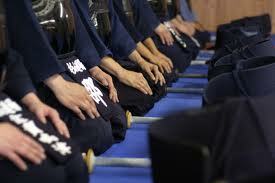 I can think of numerous government ministers and industry leaders who are active in kendo. In fact the current President of the AJKF, Cho Fujio who is honorary Chairman of Toyota recently took over from Takeyasu Yoshimitsu a former government minister. Probably the most senior kendoka in recent history was the late Hashimoto Ryutaro, former Prime Minister of Japan. It could be argued that kendo either attracts successful people or that its practise develops habits that lead to success, but I wonder how this relates to those of us outside Japan who do not have the same cultural legacy. Any sport tends to attract competitive people and there are numerous examples of athletes who go on to become successful entrepreneurs, or build business or political careers. In most cases their concentration of effort tends to move from one to the other in that they focus exclusively on sport in their early years and then switch their energy to their working life. Where kendo differs from other sports is that its pursuit can continue into old age, so it makes demands on time that might be added to the hours invested in work. Of course many career focused individuals take time out for the gym, but thirty minutes on the treadmill can be squeezed into the busiest schedule, whereas kendo training takes place at set times and dates and very often entails time spent travelling to the dojo. For those of us who train regularly, this can equate to a considerable time investment. My own kendo activities take up between 8 and 10 hours per week, which if added to my consultancy time sheet would account for another day’s income. Still I am totally convinced that the de-stressing benefits of kendo can keep us sane enough to continue making the most of our working lives. I am interested to learn your thoughts on the subject. 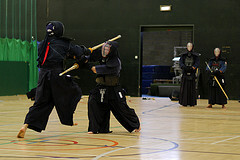 Would you be more or less successful with or without kendo? I was told many years ago by a Japanese 7th dan in his 60’s that he found kendo increasingly challenging, particularly from the perspective of producing kendo that set a good example for his juniors. At the time, I was surprised to hear that someone who had reached his level still had concerns about his ability. I foolishly imagined that on reaching the kodansha ranks it was simply a matter of enjoying the benefits of past hard training. Kendo continues to provide a challenge throughout our kendo lives, from learning to move our hands and feet together as beginners, to trying to gain some semblance of jiri-itchi when we reach the higher dans. As we progress, we face a series of barriers that we must overcome before we move to the next level. These often reflect the requirements for our next grading examination, such as renzoku waza for nidan and seme and tame for 4th and 5th dan, but they would still exist with or without a formal grading system. Unfortunately these barriers have a way of getting higher and taking longer to overcome as we progress. 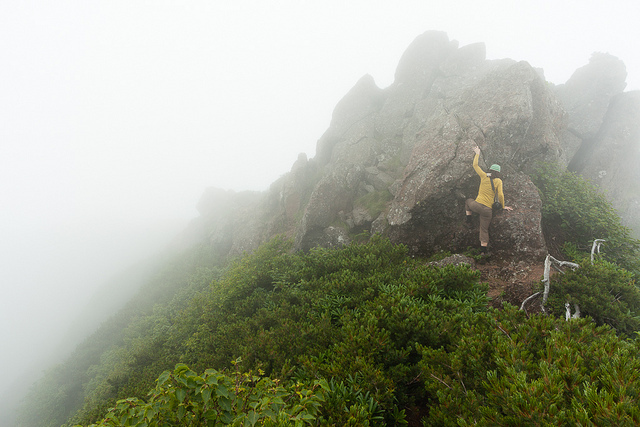 It is often during these periods when people decide that it is easier to quit than to continue to strive. Kendo very quickly polarises those who appreciate the value we gain is from the journey itself and those who expect instant mastery. The latter tend to leave at the end of each beginners course, but even for the most dedicated kenshi, long periods without tangible improvement can be frustrating and disheartening. On the other hand it seems that higher the “wall”, the greater the improvement you make when you eventually climb over it. Practically, the solution is wherever possible, to go back to basics and increase the amount of kihon geiko in our training schedules. This should be done in a way that focuses on, or reflects the elements that we need to change. It helps to share and to have the guidance of your teacher or seniors when you are working on correcting faults or developing new skills. Sometimes however this is not possible and you need to collaborate with your peers rather than try by yourself. 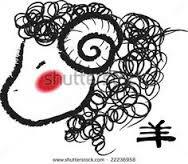 You may well find that they are facing the same difficulties and that working together provides a win-win solution. With the benefit of hindsight, I now appreciate the point that sensei was trying to make. The biggest improvement you can make is to reach a level where you become conscious of how much you have to learn.